Students gather at the meeting point for a rally. Lots of whistles, screaming and shouting. Flags flying proudly. 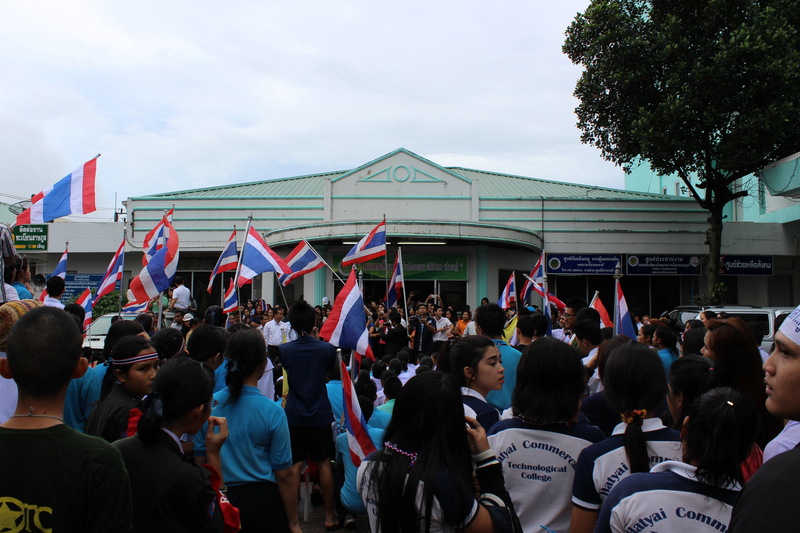 Posted on November 28, 2013 October 11, 2014 by cornishkyliePosted in Hat Yai, Photography, TravelTagged news, pictures, politics, protests, rally, thai politics, Thailand, travel.